Stretching between the Herbaceous Borders and Cherry Hill is a path surrounded by flowering plums, Prunus x blireana, with a groundcover of pink and yellow Epimedium. In 1954, the plums were chosen to replace an earlier allée of yew. Until the late 1940s, the walkway was part of Bird Walk, which crossed the Herbaceous Borders and continued between the yew hedges and was bracketed by gates topped by lead finials of birds, including a robin, quail, cardinal, and mockingbird. 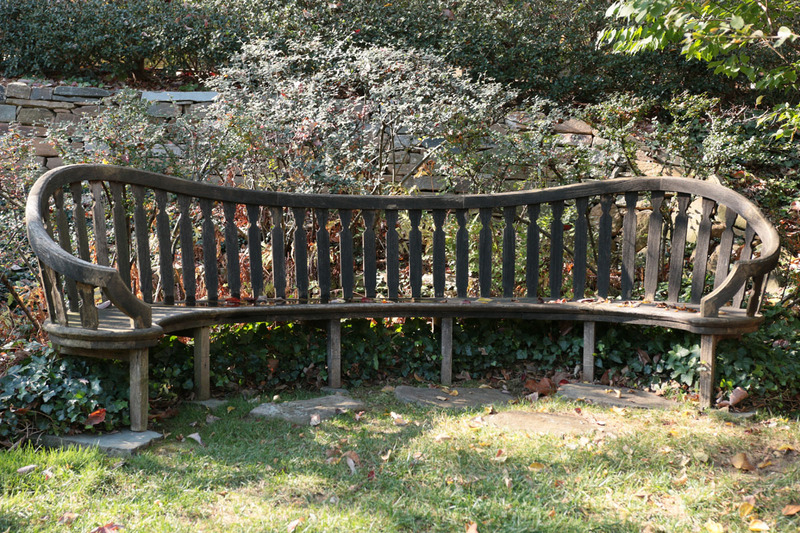 Garden bench, cypress, Beatrix Farrand, ca. 1931.